Back in the 1960s the young Alan Bennett wrote a mock-soap for the BBC called Streets Ahead about an upwardly mobile couple in north London. These characters inspired Life and Times in NW1, a strip cartoon satirizing the desperately trendy Simon and Joanna Stringalong, which first appeared in The Listener (a now defunct weekly magazine) in August 1967, and from 1969 the Stringalongs also featured in The Times, in a pocket cartoon series by ‘Marc’ – who was in fact the late Mark Boxer (magazine editor and social observer). The TV series and the cartoons were inspired by real people in a real street, Gloucester Crescent, NW1. The Stringalongs wanted to belong, and one can see why, given what a remarkable collection of talented people had settled in Gloucester Crescent, including Alan Bennett himself, Claire Tomalin, Michael Frayn, Jonathan Miller and Mary-Kay Wilmers who was then (and still is) editor of the London Review of Books. 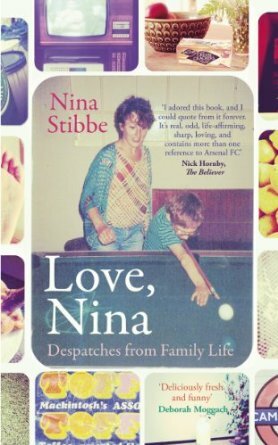 In 1982 the 20-year old Nina Stibbe moved to London to work as nanny for Mary-Kay’s sons – Will, aged nine, and ten-year-old Sam. It was a nice life at55 Gloucester Crescent, Nina remembers, but she missed her sister Victoria so wrote to her regularly during her early years inLondon. It is those letters that are collected here. The first thing to say is that they are very funny, not so much because the writer was consciously joking but because of the knowingness that Nina developed in this sophisticated company, and the candid naïveté of the earlier letters, which reminded me of Daisy Ashford’s The Young Visiters. To begin with, she enthused, ‘Being a nanny is great. Not like a job really, just like living in someone else’s life.’ She quickly finds her way round, discovering that Gloucester Crescent is very near to the London Zoo and Madame Tussaud’s. She is firmly told that only people who don’t live inLondon go to places like that. Mentioned to MK how much I hate the fishmonger. MK: How can you not like the fishmonger? MK: What’s wrong with him? Me: He’s tricky to do business with. So is there some fiction in Nina’s autobiographical letters? Or are they full of revealing details in accurate portraits of people who were already well known when Nina lived near them, some of whom are now regarded as National Treasures? Impossible for a reader to judge so it’s best to forget the name-dropping and just enjoy a very entertaining book.